Gunma Prefecture, located about 200km (124mi) from Tokyo, is blessed with a wide variety of onsen resorts. Let us introduce the 5 most famous ones. This onsen resort is very famous for its Yubatake, the hot water fields where the onsen springs up at the center of the town, and its Yumomi performance, which is the traditional way of cooling down the scolding hot onsen water. There are many onsen inns and day spas at Nishinokawara open air baths, where you can enjoy a grand area of 500 square meters (roughly 600 sq. yds.). This sulfur-rich hot spring with its strong sulfur scent is believed to both have therapeutic benefits and to help preserve beautiful skin, and is popular among female visitors. Volcanic activity has resulted in cloudy white hot spring water at Shirane Yugama. The views from the onsen are exceptional. This onsen village, which consists of five separate regions, is believed to have efficacies for 40,000 types of ailments and this is the origin of its name (Shima, “四万”, means forty thousand). The village is also known for its history as one of the oldest onsen bathing treatment facilities in Japan. There are rows of onsen inns, souvenir shops, eateries and bars along the side of the 365-stone steps extending from the bottom to Ikaho Jinja Shrine. You can indulge yourself in the atmosphere of the hot spring village by drinking the onsen water, and eating onsen manju (dumplings with sweetened adzuki filling). Onsen facilities in Minakami are all located along mountain rivers and streams, and are conveniently accessible. 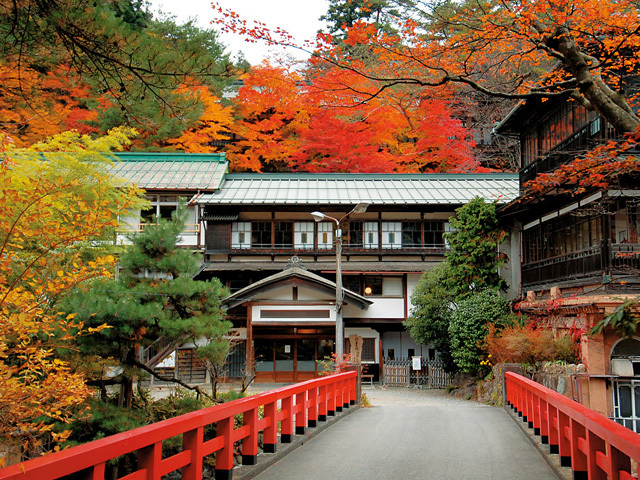 The area also attracts many tourists during autumn due to the beautiful colors of the leaves. Although you may not have time during your trip to visit several hot springs, we recommend you do a little research on each of these onsen and visit the one that suits you the most.